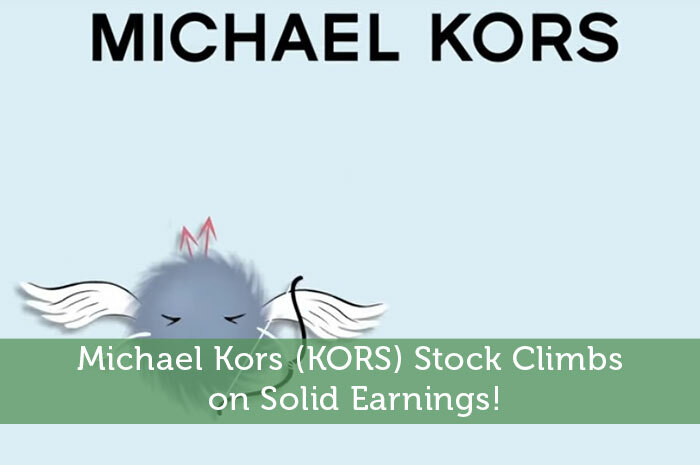 Earnings Per Share – In terms of earnings per share, KORS absolutely blew away expectations for the third quarter. While analysts expected for the company to produce earnings in the amount of $1.46 per share, the company actually generated earnings in the amount of $1.48 per share for the quarter. Top-Line Revenue – As if earnings wasn’t enough, top-line revenue also came in well ahead of expectations. For the quarter, it was expected that revenue would come in at $1.350 billion. However, the company actually reported revenue in the amount of $1.3975 billion; proving a year over year gain in the amount of 6.3%. Guidance – Following the earnings report, KORS produced overwhelmingly positive guidance for the fourth quarter of fiscal 2016. For the quarter, the company is expecting to produce earnings between $0.93 and $0.97 per share. In terms of revenue, the company is expecting to produce between $1.13 billion and $1.15 billion for the quarter. While this is lower than the previous quarter, these are strong numbers considering the fact that the previous quarter was the quarter that represented holiday shopping. If KORS does pull off these numbers, they will show strong year over year growth. As investors, we’ve come to learn that there are few pieces of news that have the potential to move the needle quite like solid earnings does. So naturally, with the solid earnings release along side positive guidance, it only makes sense that we would see gains on KORS today; and that’s exactly what we’re seeing. Currently (2:55), KORS is trading at $50.05 per share after a gain of 24.01% so far today. Moving forward, I have a relatively mixed opinion of what we can expect to see moving forward. First and foremost, it’s important to understand that price movement in the market tends to happen through a series of overreactions. While solid earnings do justify gains, I have a hard time wrapping my head around a gain of 24.01% on a single earnings report. With that said, I’m expecting to see a slight correction either tomorrow or Thursday. However, in the long run, I’m expecting to see solid gains. The reality is that KORS has proven time and time again that they have the ability to produce solid gains and continue growing. What more could investors want? Where do you think KORS is headed moving forward? Let us know your opinion in the comments below! Michael Kors (KORS) Stock Climbs on Solid Earnings! Finally birth day for that share. Two years of falling down came to the end. This is best prof that US companies working good in this so called China crisis. If you ask me this is best time to buy shares.